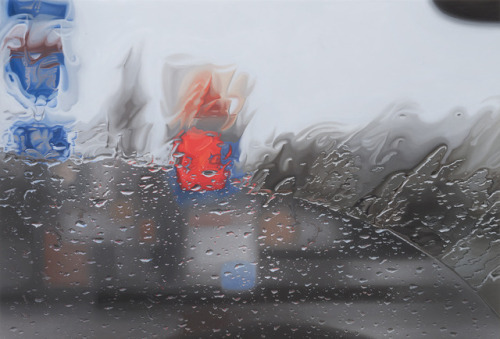 Gregory Thielker creates oil paintings that blur the line between the beautifully abstract and the hyper-realistic. 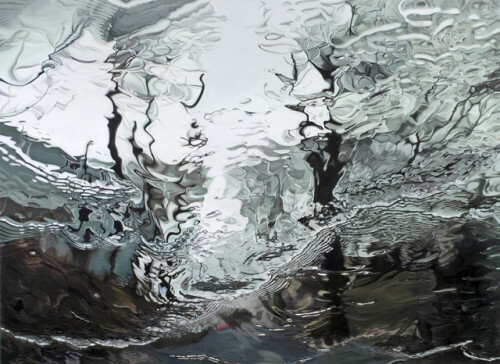 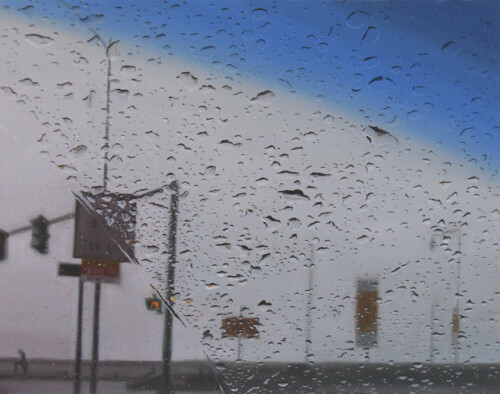 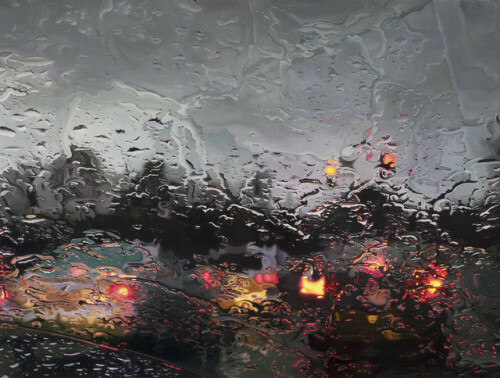 For his series, “Under the Unminding Sky,” Thielker paints the world through the lens of water over a car window and evokes a feeling of melancholy. 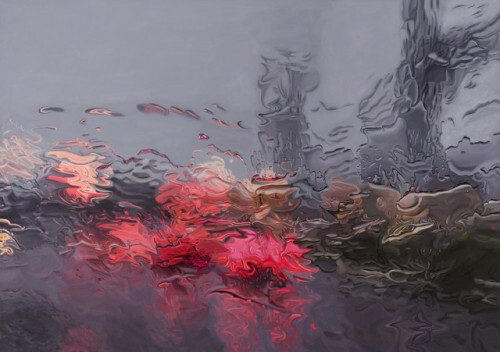 Gregory Thielker is currently based out of New York City.